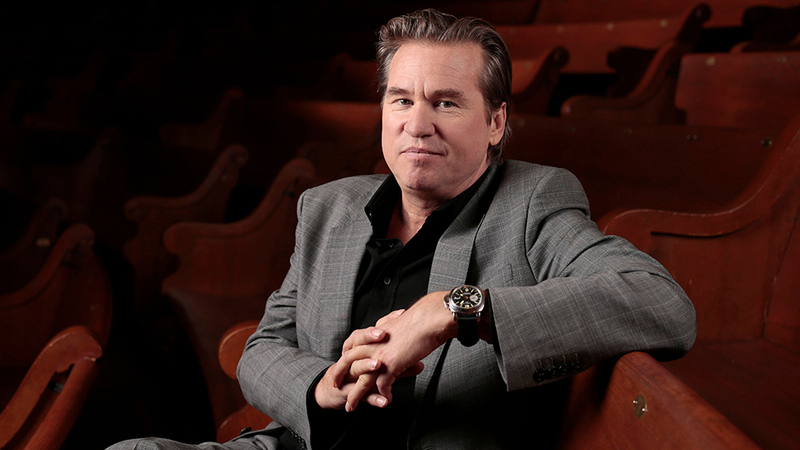 Meet BigSpeak’s newest exclusive speaker and Hollywood icon Val Kilmer. After a lifetime of living in the spotlight as a stage actor and international film star, Kilmer now enters the arena as a keynote speaker. Beginning his career as a stage actor at the age of 4, Kilmer became an international film star in the 1980s starting with Top Secret!, then the cult classic Real Genius, as well as the blockbuster films Top Gun, Willow, and The Saint. His professional career began when he was accepted into Juilliard’s drama department at 17, making him the youngest acceptance to date. While studying at The Juilliard School, he co-authored and starred in the play How It All Began, which was directed by Des McAnuff and performed at the Public Theatre at the New York Shakespeare Festival to national acclaim. He also appeared on Broadway in “The Slab Boys” with Kevin Bacon and Sean Penn. Subsequently, he joined The Colorado Shakespeare Festival starring in Hamlet in 1988. Kilmer’s film credits include: Doc Holliday in the classic western Tombstone; Jim Morrison in Oliver Stone’s rock ‘n roll biopic The Doors; the starring role and title character in The Saint; Bruce Wayne in the global smash Batman Forever; starring opposite Al Pacino and Robert DeNiro in Heat; co-starring with Marlon Brando in The Island of Dr. Moreau; and starring opposite Michael Douglas the the thriller The Ghost and the Darkness. He also lent his voice to the first Dreamworks animated film The Prince of Egypt after being asked to play both Moses and God by his friends Steven Spielberg, Jeffrey Katzenberg, and David Geffen. 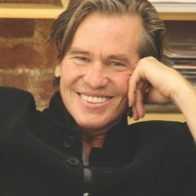 In 2012, Kilmer was awarded an honorary doctorate of Fine Arts from William Woods University. His art extends farther than acting. He has written, directed, and produced plays, released a CD and donated the profits to charity, and created enamel paint on metal art exhibits shown across the nation. Kilmer is also a devout Christian Scientist and attributes his success as an actor to his faith. When he was diagnosed with throat cancer in 2015 his faith helped him push through his battle.